Like all good travel sites, at Best Car Hire we compare car hire Rhodes Airport to find the cheapest car hire Rhodes Airport Greece and ensure that you avoid over-the-top fees to find an affordable car at the best price - so you save money to spend on other holiday treats and hit the road (or is it Rhodes ) to explore your holiday destination on the beautiful Greek island as soon as possible! When you pre-book online, some of the rental car deals for Rhodes Airport car hire, include discount car rental, express check in, free additional driver and guaranteed this year’s registered cars. Just simply submit your preferred holiday travel dates in the search information panel above. 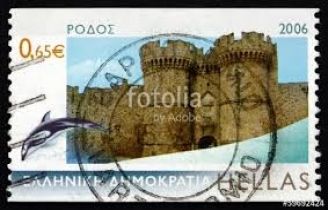 Rhodes (also known as Rodos and the island of Knights) is the biggest island in the Dodecanese complex of Greek islands located northeast of Crete and off the Anatolian coast of Turkey, between the Mediterranean Sea, and the Aegean Sea. It is a popular holiday resort for tourists especially the World Heritage Site - the Medieval Old Town and the City of Rhodes. Rhodes is historically famous for the Colossus of Rhodes, one of the Seven Wonders of the Ancient World. At Rhodes Airport Can I Rent a Car for My Rhodes Holiday Resort ? Get your Rhodes Airport car rental for the most popular holiday hotel and villa resorts in Rhodes including Faliraki, Ixia, Rhodes Town, Kolymbia, Lindos, Pefkos, Kiotari, Pastida, Trianda, Lachania and Kalathos. Who are the Car Rental Suppliers in Rhodes Airport ? Choose from a range of international car rental agencies in the arrivals hall at Rhodes Airport including :- Avis, Hertz, Budget and Sixt. Europcar operates from a building just across the road from Rhodes airport terminal. I Want a Rhodes Airport Car Hire - What Type of Cars are Available ? When you are looking for a cheap car hire in Rhodes, you can choose from a selection of diesel or petrol, standard or luxury car rental, with or without air conditioning, automatic or manual gearbox, one way rental or return and with limited or unlimited mileage. The range of rental cars at Rhodes Airport include :- Audi A3, Citroen C1, Fiat 500, Fiat Panda, Fiat Punto, Fiat Tipo, Ford Fiesta, Ford Focus, Hyundai i20, Hyundai i30, Kia Ceed, Mercedes A Class, Nissan Micra, Nissan Pixo, Opel Astra Estate, Opel Astra, Opel Corsa, Peugot 208, Renault Clio, Renault Twingo, Seat Ibiza, Seat Mii, Seat Toledo, Skoda Octavia, Suzuki Alto, Suzuki Baleno, Suzuki Swift, Toyota Auris, Toyota Avensis, Toyota Aygo, Toyota Corolla, Volkswagen Golf, Volkswagen Passat, Volkswagen Polo and the Volkswagen Up. Minivan or People Carrier Hire Rhodes Airport? A People Carrier is the best economical choice of vehicles for all those occasions where you need to transport the family around or multiple groups of people such as weddings, anniversaries, children’s parties, hen parties, stag parties or sporting events. If you are arriving at Rhodes Airport and your group of friends want to hire a people carrier or a minivan to see a big football match, or have a fun golf outing somewhere in Rhodes, we recommend that you pre-book online, the best MPV (multi purpose vehicle) on offer, at least two months in advance. As such, you will find that car hire Rhodes Airport will be easier and you will get cheaper people-carrier rental rates. The summer time, Christmas and Easter holidays are our busiest times for MPV or people carrier Rhodes Airport bookings, so it is best to plan your car hire accordingly. Most MPV's come with sliding doors for easier access and with flexible seating arrangements to make the journey easier (backseats can be easily removed or can fold to the floor to provide more luggage storage), additional safety measures, and all-round visibility (most have a sunroof), all our versatile people carriers or minivans come with refreshing air conditioning (AC), so you will remain cool and comfortable even with a lot of passengers in the people carrier. We find that holidaymakers benefit from a people carrier hire Rhodes Airport especially when they need a larger car rental for 6 seater, 7 seater, 8 seater or even 9 seater purpose - oh and did we mention? - people-carriers can be fun to drive! For your Rhodes Airport people-carrier hire you can choose from the following fleet of cars :- Fiat Doblo, Nissan Primastar, Citreon Berlingo, Mercedes Vito Traveliner, or the Nissan NV200. Most holidaymakers who rent an SUV Rhodes Airport, benefit from its ability to carry more people than your average car, more cost-effective fuel consumption, safer due to their more robust chassis, more comfortable driving off-road on rough terrain due to their extremely efficient suspension and additional hill climbing control due to front-wheel or four-wheel drive (4WD) - which come in handy for the tough terrain. When renting an SUV Rhodes Airport to transport the family around, your choice of SUV (Sports Utility Vehicle) hire cars are : Dacia Duster, Daihatsu Terios, Mercedes GLA, Audi Q5 and the Nissan Qashqai. Most people will choose convertible car rental Rhodes Airport because of the freedom this vehicle offers. There is nothing more exciting than feeling the warm Greek sunshine on your body while taking in the sights the sounds and the fragrances of the Rhodes land and sea, while you drive to your luxury Rhodes holiday destination. What Documentation Do I Require for my Car Hire Rhodes Airport ? To help you rent a holiday car, we have prepared a car hire travel checklist to help you with your cheap car hire Rhodes Airport reservation, but to avoid a headache if you don't plan properly, you will require a valid credit card, a valid photo ID (passport or national ID), driver's licence valid for 2 years and a printed version of the car rental voucher. If you do not present any of the documents mentioned, the documentation is not valid or you do not have enough funds on your credit card, the car rental agent may refuse to release the vehicle and no funds will be reimbursed to you. Just remember that with any car hire deals, the suggested cheap car hire Rhodes Airport may not be the best value for money, so please take this into consideration when you consider any car rental discounts and book the reservation. The major change is that travellers will need at least 6 months left on their UK passport from their date of arrival at their destination (Rhodes), however this only affects travel to certain countries. Will I Need a Visa for Travel to Rhodes after Brexit ? Rhodes Airport is located 14km (9 miles), or a 20-minute journey, into the city of Rhodes, which is also known as Rodos. Click here for in depth weather report from Rhodes. Thank you for choosing www.BestCarHire.com for your cheap car hire in Rhodes. For your convenience at Best Car Hire our multi-lingual team of customer care agents are on hand 24 hours a day, 7 days a week to assist if you should require assistance with your best car hire Rhodes Airport. Shopping in Rhodes can be a great and exciting experience, as the combination of modern and traditional markets offers an unique shopping experience. There are two different kinds of markets in the same town: the old folklore market and the new market with all the familiar international brand name stores. Finding an empty parking bay is a continuous challenge in Rhodes City, especially during high season months. A parking area is indicated by a blue road sign, with a white "P" on it, and parking places are usually marked with white or blue lines. Once you have parked your vehicle, in most places you have to purchase a ticket from the nearest automated machine. Parking outside of the city of Rhodes is at most times free of charge. Driving in the Old Town of Rhodes is not allowed (only residents may use their cars inside the Old Town).